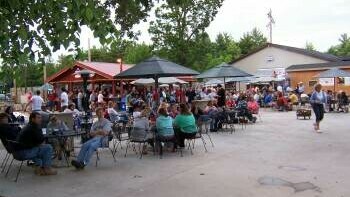 Live bands (mostly country) play throughout the summer here, while DJs play (and offer karaoke) at least once a week. Check out the enormous outdoor patio, full menu, pool, darts, specialty beers, five tap beers, and free popcorn and bean bags. Happy hour is 3-6:30pm Monday-Friday. Appetizers and pizzas are served after 10pm. They also offer leagues for women's pool, volleyball and bean bags.